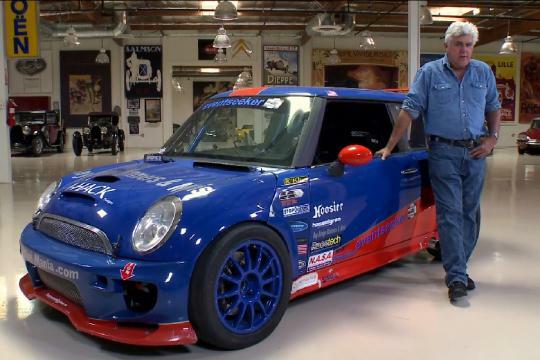 The latest vehicle to make an appearance in Jay Leno's garage is a twin-engined 2002 MINI Cooper. Think of it as one man's very straight forward way of doubling his car's horsepower. The MINI has its original engine and transaxle at the front as normal, but it also has a duplicate powertrain at the back, driving the rear wheels. It's a setup similar to the twin-engined Honda CRX project car built by Car and Driver in the 1980s. 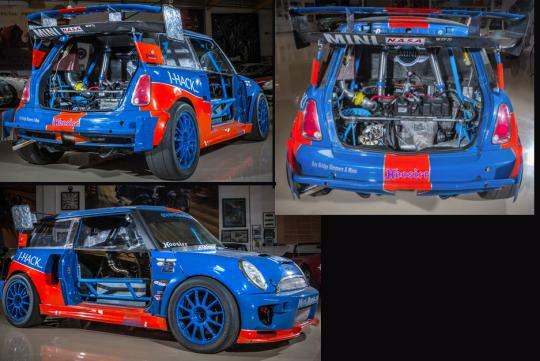 Weirdly, the decision to build a twin-engined, all-wheel drive MINI Cooper seemed fiscally responsible to its builder, Jacques Andres. He told Jay that having two cheaper four-cylinder engines made more sense than having one big, expensive V-8. Each 1.6-liter supercharged four-cylinder produces about 250 horsepower. It also gives Andres a backup: each engine can be operated individually, so the car can limp home with two-wheel drive in a pinch. However, the starting procedure is a bit more complex than the average MINI: each engine runs individually (although they're fed from the same fuel pump and tank), so they have to be started one at a time. 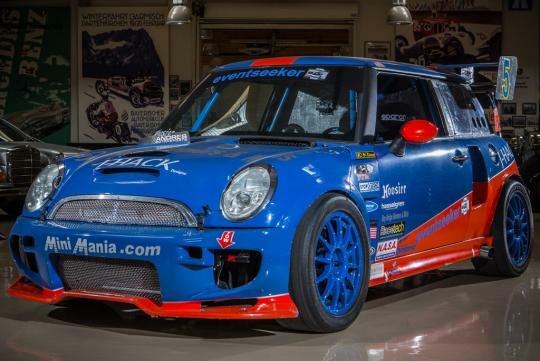 The car isn't just for show; it spends plenty of time on the track mixing it up with other MINI racers and the occasional Porsche. What else would you do with a car like this? How he sync both engines such that both are going at the same speed? This guy never stops surprising me, that show room should become a museum. This car is very nice.